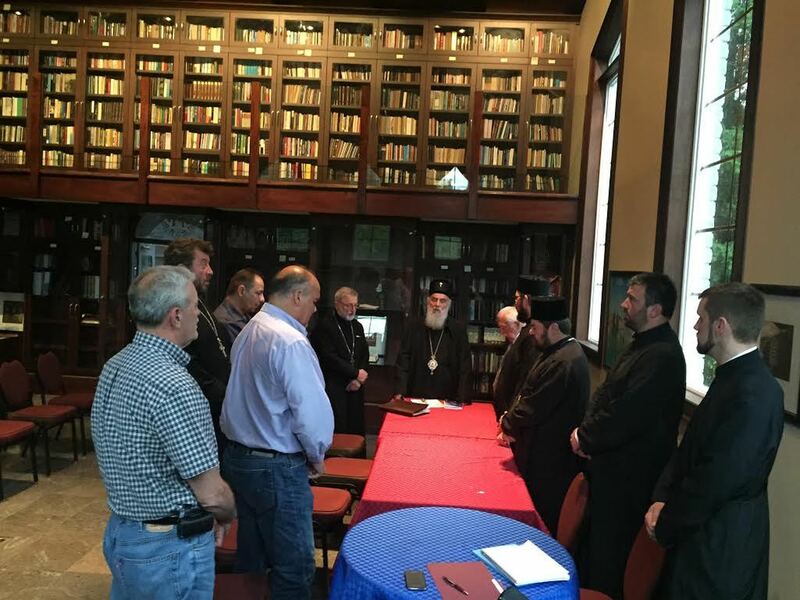 Milton, Ontario - On Thursday, June 11, 2015 His Holiness Serbian Patriarch and administrator of the Diocese of Canada held his first meeting with the members of the Diocesan Council, held in the Library of the Transfiguration Monastery in Milton. The planned meeting of the Diocesan Council of the Canadian Diocese was successfully held. Members of the Council, gathered around the Patriarch, were informed of the plans regarding the organization and work of the Diocese of Canada. 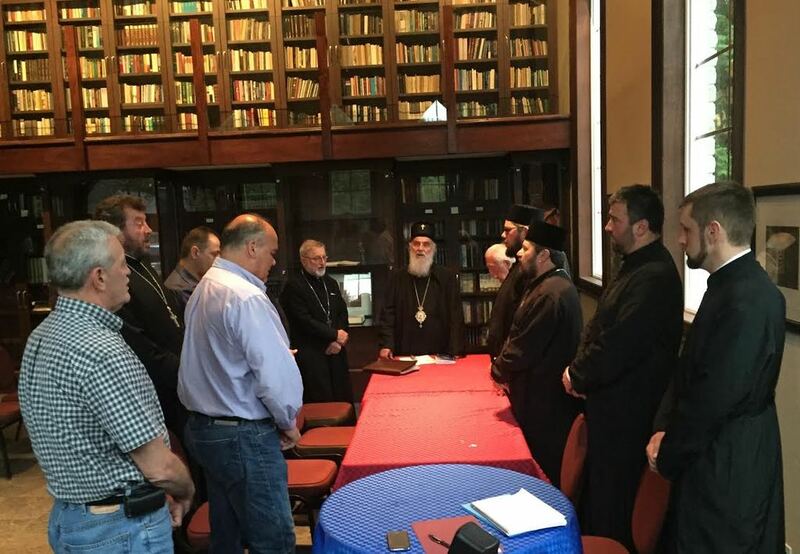 After opening the meeting and thanking the members of the Council, His Holiness Patriarch Irinej stated that the only work plan and program which needs to be adhered to is the Holy Gospel. 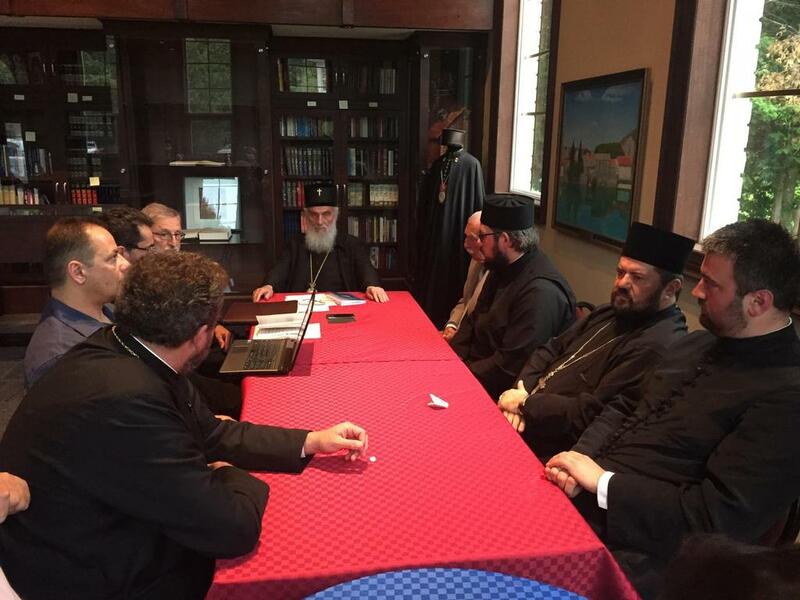 From the fruitful discussion of the accomplishment and improvements in the life of the Diocese of Canada, it was concluded that the most important mission of our Church and mission among our neighbors, where we need to witness the unity, love and harmony of Orthodoxy. Accepting the suggestions regarding future action, members of the Diocesan Council promised to contribute as much as they could to the betterment of all forms of life the Diocese of Canada.